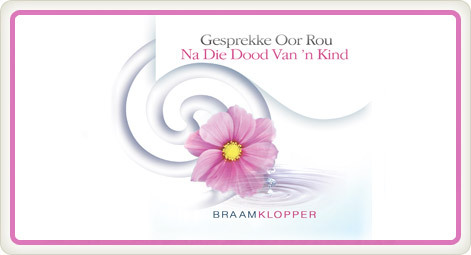 This CD is aimed at parents who have lost a child through death, as well as for everyone who wants to gain a better understanding of what parents are going through after the loss of a child. This CD will give you a much better and deeper understanding of the unique process of grief after the death of a child. This will enable you to give more realistic and meaningful support to such parents. Is mourning the loss of a child any different? The roll played by others in your mourning. People say: "All the same, you can be glad ..."
People talk "on God's behalf"
Your own relationship with God. People ask: "How are you doing?" How mourning affects other children. Paying tribute to the memory of your child.